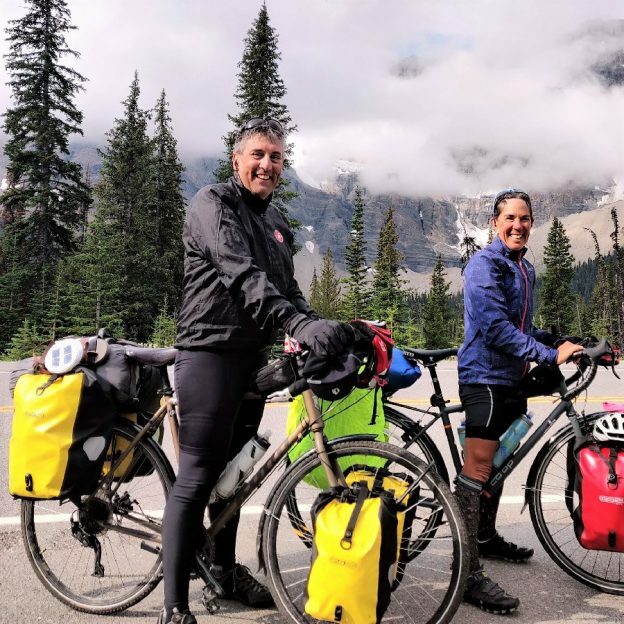 Beginning from their hometown, #crazyparentsonbikes rode from Great Falls, Montana and pedaled to Edmonton for their annual unsupported bike trip. After Glacier came Banff where the clouds met the mountains. Photo and caption from Becky Nelson. This entry was posted in Picture of the Day and tagged Banff, bike touring, Edmonton CN, Glacier, Great Falls MT, Mountain touring, next bike adventure, road touring on January 8, 2019 by Russ Lowthian.